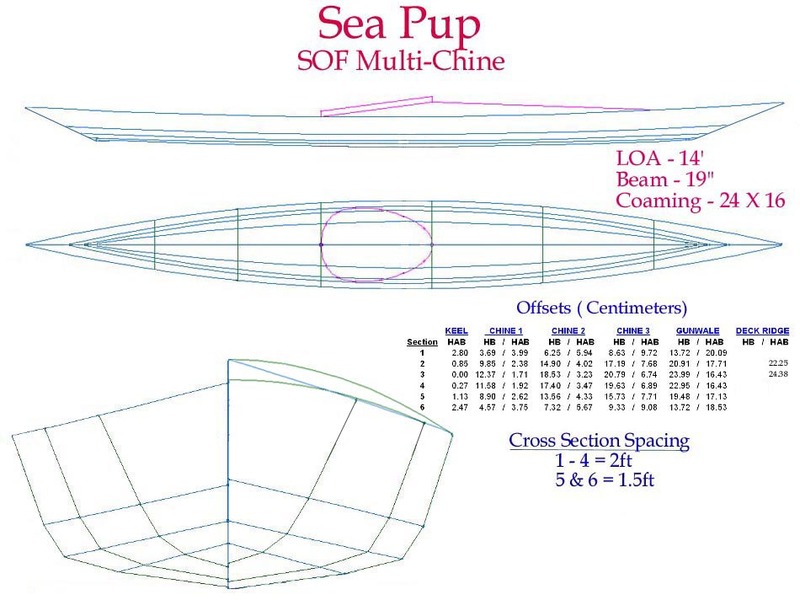 Sea Pup Multi-Chine for wood or aluminum construction. Aluminum stringers consist of 3/4″ gunwales, keel, and deckridge and 1/2″ chines ( 3 per side). Wood stringers include 1.5″ X 3/4″ gunwales, 1″ X 3/4″ keel, and 3/4″ X 3/4″ chines.